When Beatles tour guide Barry Seddon finds a letter written by John Lennon he unearths a clue to solving the greatest mystery in pop music - the location of John's first musical instrument. A few years ago I attended a Beatles Convention with Allan Williams, the group’s first manager, infamously known as ‘The Man Who Gave The Beatles Away’. 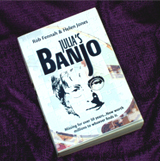 Julia's Banjo is available in several different formats including: Paperback, ePUB & Kindle. Since John Lennon died anything connected with him has soared in value. In 2000, a piano he once owned sold at auction for 1.5 million pounds so it doesn’t take a genius to figure out that the very first instrument he learned to play has got to be worth millions more. It was John’s mother, Julia, who taught him to play her banjo and turned him on to Rock ‘n’ Roll. And that’s what makes Julia’s banjo so important; without it, The Beatles would never have existed and, without them, everything we know today would be different. So where is the holy grail of pop memorabilia; the catalyst that changed the world? 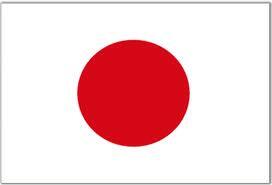 Well that’s what this is all about. Shortly after Julia Lennon died it went missing and no one has set eyes on it for over 50 years. All hope of finding the priceless pop relic was lost decades ago. But then, something happened to change all that. It took a little longer than expected but Co-author Helen A. Jones and I hope that Beatles fans around the world will enjoy it."